22 | June | 2015 | Troy C. Wagstaff aka CallahanWriter Blog: Topics of interest include Western Historical (1865-1899) Topics. Additionally inspirational Christian and Fibromyalgia interests. A day in the life of life of fibromyalgia is just as varied as anyone’s day without a chronic illness or chronic pain. The only difference in a day in the life of fibromyalgia, chronic fatigue or some other chronic painful invisible illness is that everything we do is done or experienced through the filter of chronic pain and all the other symptoms of the silent disease. A trip to the dentist is a good example of how life is different between a regular person and one afflicted with a Central Nervous System disease. Few people in the general public enjoy going to the dentist with all those harsh, grating and shrill wining drills and other tools designed to instill fear in the most stout of heart. But for the fibromite, a trip to the dentist can be a whole other world of fear and pain. One of the common aspects of fibromyalgia is that we are hyper sensitive to pain signals, especially new pain sensations or unusual pain sensations like those found at the dentist. Add to that the fact that we are also commonly hypersensitive to noise, bright lights and various chemical and other sensitivities. All of those things are present in a visit to the dentist. For the first time in more than four years I went to the dentist for a check up. I know six months is recommended but, until now, dentist health or oral health was not high on my priority list. Well, in fact, going to the dentist has never been high on my priority list. But I went in for a check up, x-rays and a cleaning. 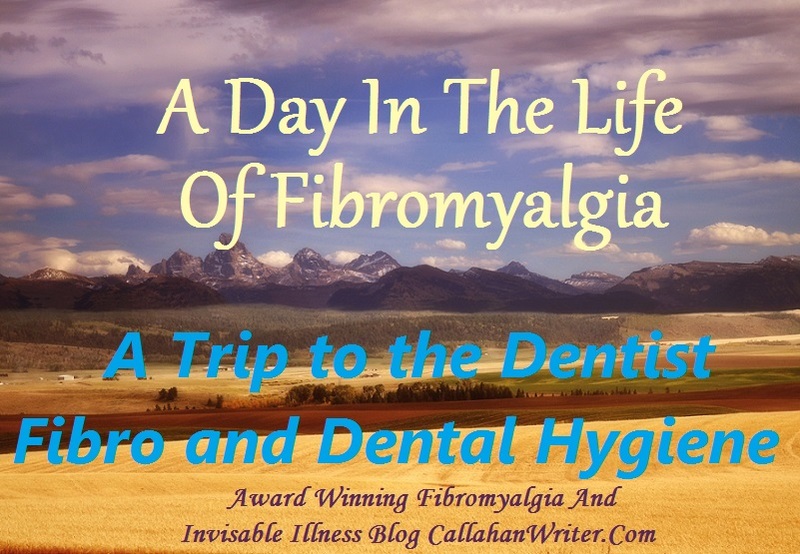 I was blown away at both the dental hygienist and the dentist both were well experienced with and very accepting of fibromyalgia. First, With my exam of my gums in relation to various gum diseases like gingivitis I scored low, meaning if I don’t start flossing twice daily and rinse my mouth with a gingivitis designed mouth wash, I could have trouble with my gums. Sometime between that exam and the cleaning of my teeth the hygienist used some tool that didn’t hurt me through touch but did hurt through the shrill whining sounds of the tool. It felt like, instead of a laser beam piercing my brain through the roof of my mouth, there was a noise ray piercing my brain through the roof of my mouth. It also felt like a heavy raging river was being forced out of a narrow hole in my ears. I could feel the sound in my skull bones, brain and ear canal. I asked the dental hygienist if any other fibro patients ever complained about that procedure and those types of sensations. She said yes they did, in fact, it was a fairly common complaint. Then the dentist came in and looked at my x-rays and said I have a cavity that needed to be filled. The hygienist told the dentist about a major food space I had. He said he could remove part of a filling and replace it with a new filling that went down the side of my tooth, making the space so tight that only dental floss could get down the side of my tooth. On the way out he told me to schedule the fillings about two weeks apart so I would have adequate recovery time for my fibromyalgia. It was cool that he knew the issues of a regular patient as opposed to a patient with fibromyalgia. That was a cool day at the dentist. 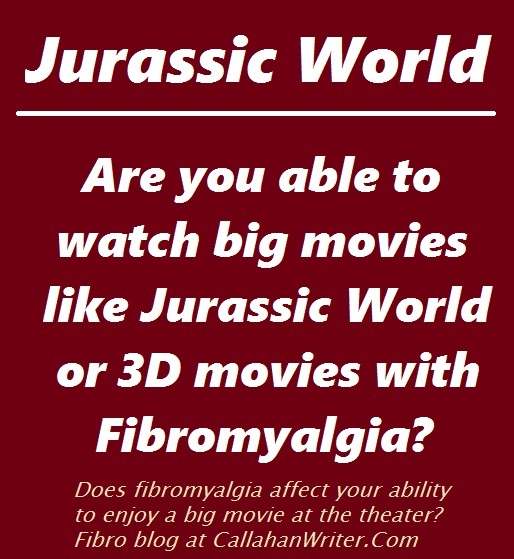 But there is more to the story that includes other aspects of fibromyalgia like sensitivities. To fight the potential gingivitis I need to floss twice a day. Brush twice a day. Pick my teeth with special picks after eating and lastly, I need to rinse out my mouth at least twice a day with a mouth wash designed to fight the bacterium that causes gum disease. Also for my dry mouth, I was told of a product to spray into my mouth that will keep the inside of my mouth moist. So I went to Walmart and picked up some mouth wash and the mouth moisturizing spray and I bought a new flavor of toothpaste from the dentist. That evening I used all the new chemicals and the next morning. I started feeling some itching near my upper jaw and the outsides of my eyes and warm sensations on the inside of my checks and the skin over my cheeks. It dawned on me fairly quickly that I might have a chemical sensitivity to one of more of those new products or change in the flavor of the high fluoride toothpaste. I am now in the process of narrowing down the new chemicals to see what is causing me trouble. I like the mouthwash because it cleans the surface’s in my mouth very well. So far my testing seems to be pointing to the mouthwash as the offender, but I need to test it a time or two to be sure. That’s my experience with the dentist having fibromyalgia. What is your experience with the dentist? Have you had any sensitivities with oral hygiene products? Let me and everyone else know your experiences with the dentist and how they relate to your fibro and how fibro affects your trip to the dentist.